February 12, 2011 by Alphageek in "alphageek", "discovery", "shopping"
Not really a restaurant review today, but I took a couple of pictures I thought I would just share here on Alphageek Talks Food. 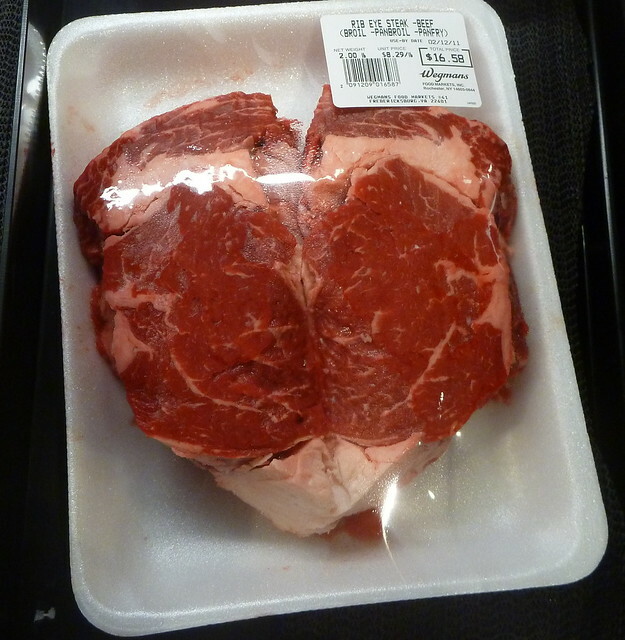 We were in Wegmans, and they had some food out that one could buy and prepare for Valentines day. That is probably a better idea than eating in some crowded chain restaurant, but that is your call. They took some food items and shaped them into hearts, to honor the theme of the holiday. On the right, we have some rib eye steaks. Nothing fancy, I just liked the presentation. 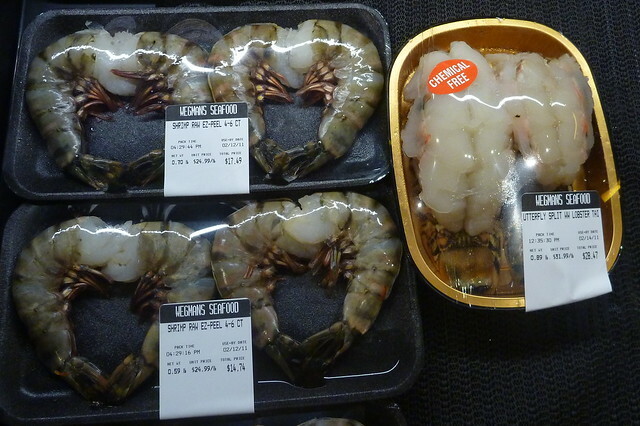 On the left, we have some shrimp. They are 4-6 per pound count. In other words, really big! That is a lobster tail next to the shrimp in the picture, just for a little perspective. I just wanted to have a picture of shrimp this big on the site. Well, that is it. I said short and sweet and I meant it. Happy Valentines Day to all.